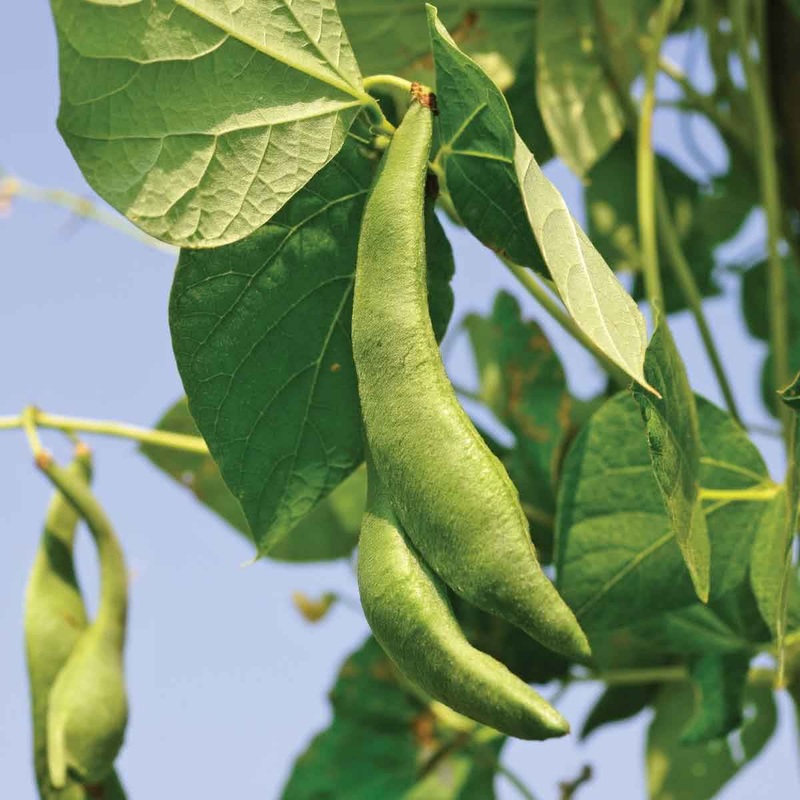 This popular bean is grown light green in color with beans inside the green cover. Entire fruit is cooked as vegetable. It is a high yielding vegetable that grows in any soil with little fertility and pesticides. 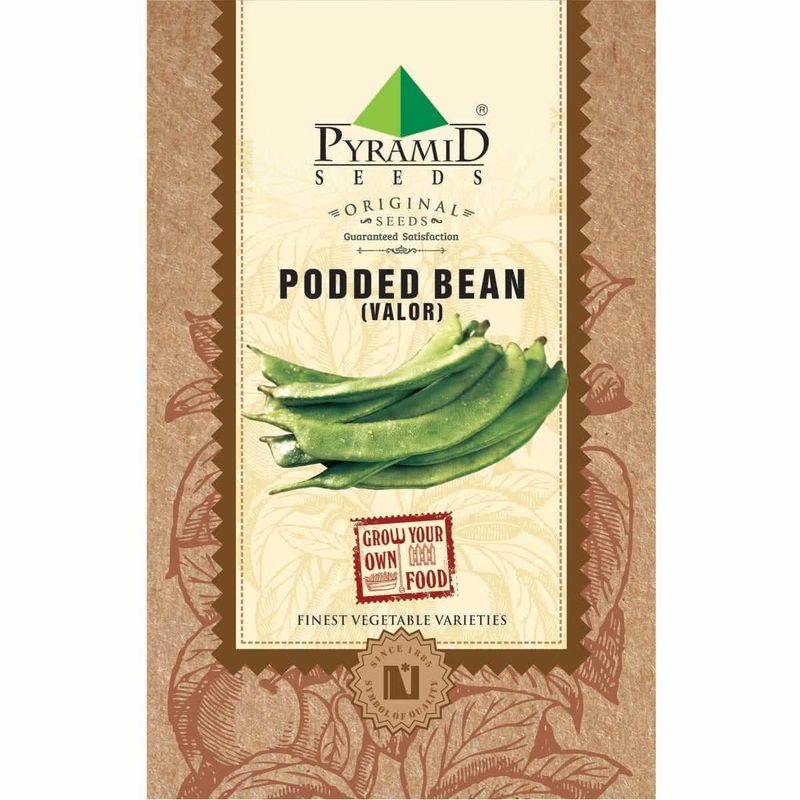 Introduction and Uses: This herbaceous annual is also known as beans or green beans. It is a vital source of Vitamins A, C and K, folic acid and fibre. Since Valor contains a high amount of chlorophyll, it might decrease the risk of cancer, may enhance fertility in women, help with depression, improve bone health by helping the person daily calcium needs. Growing container: Big sized circular pots or grow bag with 16” diameter and minimum depth of 8-10 inches. On raised beds, plant two seeds per spot in the spacing of 2 x 2 ft.
Sunlight: Valor plant requires full sunlight in winter. Therefore your raised bed should be made at a bright sunny spot. Keep the Valor container under open sunlight. Watering technique: Water your potted Valor plant every alternate day in winter. Water at the soil near the plant. Use a watering can to make sure that the plants get water in the form of the shower & not by a single flow. You can also make provision for watering by drip irrigation system for your raised beds. Trellis: Valor plant is a bushy vine & needs plenty of space to grow. So develop a strong trellis support up to a height of 5-6 ft, by using locally available material like pipes, bamboo, ropes, wires, etc. for your Valor plant. Read about trellis support ideas. Manuring: As mentioned earlier, add good quality organic manure in the soil with 2:1 ratio before sowing seeds. organic fertilizer can be well rotten Cow manure: cow dung manure, farmyard manure, Compost or Vermicompost. Top Dressing: When your Valor more than 45 days old, Provide one tablespoon of 15:15:15 (NPK) Fertiliser per plant or mix handful of Vermicompost in the soil around each plant. Plant care: Always look for the early signs of any insect/fungal/ any other infections. Spray appropriate medicines as soon as any symptoms of such diseases are spotted. Read about types of insect pests in your garden. Harvesting: (50 to 60 days from sowing) Valor plant will start flowering at the end of the 2nd month. You can start harvesting fresh Valor pods after two months of seed sowing. Harvesting can continue for a very long time, as long as plant survives.